a new season is just around the corner and i am getting prepared culinarily and mentally for the relief of spring. i thought it would be nice to pull together a set of delicious, spring-y recipes for you to all enjoy in the upcoming months ahead. plus all of the photographs are gorgeous, so enjoy those as well. this is one of my favorite pasta recipes. the combination of asparagus, basil, ricotta, and lemon zest is the epitome of spring feels. oranges? fennel? beets? this simple, warm salad is the perfect transition dish between winter and spring. it's also very pretty to look at, which is a definite plus. avocado toast with a nice twist: spring pea hummus! 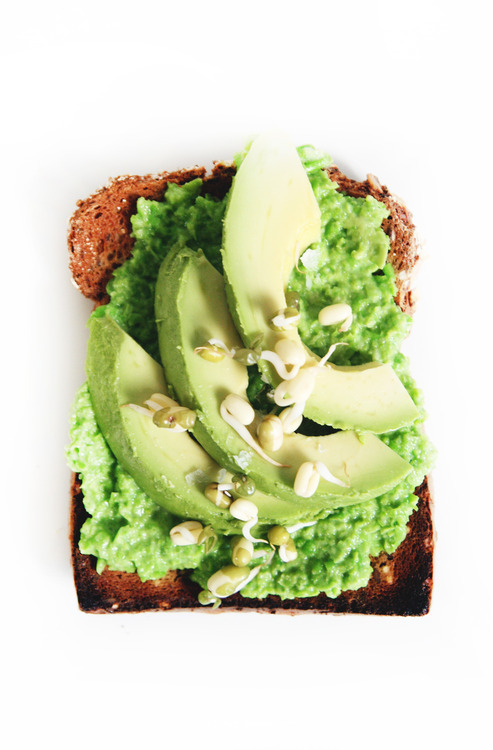 a slice of ezekiel toast with this green hummus and slices of avocado would be the perfect breakfast or lunch. holy yum. soba is my favorite noodle. made of buckwheat, soba is light, healthy, and just sooooo good. i usually julienne snow peas, carrots, and edamame and toss it with a sweet soy sauce and the soba. this is a slight variation of what i make, but it looks just as good.